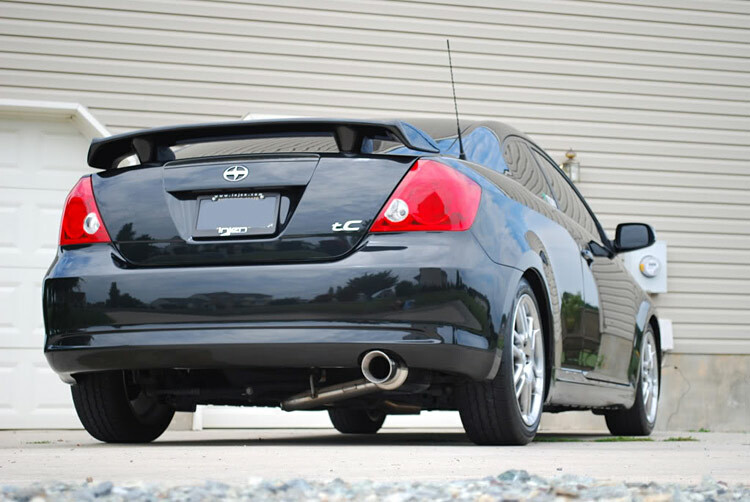 We list and review the most popular Scion tC exhaust systems on the market to help you choose which one is best for your needs. This is the ultimate tC exhaust guide. Scion was launched by Toyota as a direct effort to appeal to its younger customers by providing them with their own niche brand. Where Lexus was created by Toyota to appeal to the upper class, Scion was primarily focused on those that wanted an affordable new car with heaps of extras which still retained the cool factor and a huge range of tuning options. The tC was Scion’s replacement for the phased-out Toyota Celica, which hit the showrooms in mid-2004 and immediately smashed all of the sales goals they’d set out. It appeared to be a hit with the millennial generation, and tuning houses across the world were working as quickly as possible to keep up with the demand for aftermarket upgrades. Want to get your tC sitting right? 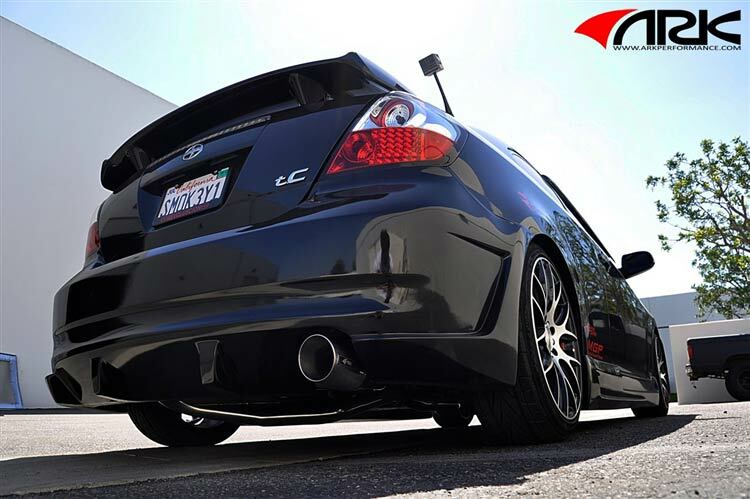 Our Scion tC coilover guide was written just for you. With a 160hp 2.4L VVT-i engine under the hood, it was capable of outpowering most other small coupes, especially as people begun squeezing extra ponies out with mods. After some small facelift changes in 2008, the main update came when they launched a second-generation in 2010, with the 2.5-liter 180hp engine providing even more power than before. Unfortunately, this update would be considered a flop by Toyota, and despite further changes in 2014 and 2016, Toyota gave up on the Scion idea and ended the tC’s production in 2016. As we fast forward to the present day, the huge range of selection on the used car market is great for those who are considering buying a tC. If you already own one and you’re ready to buy an exhaust, we’ve got the perfect guide to help make your choice. 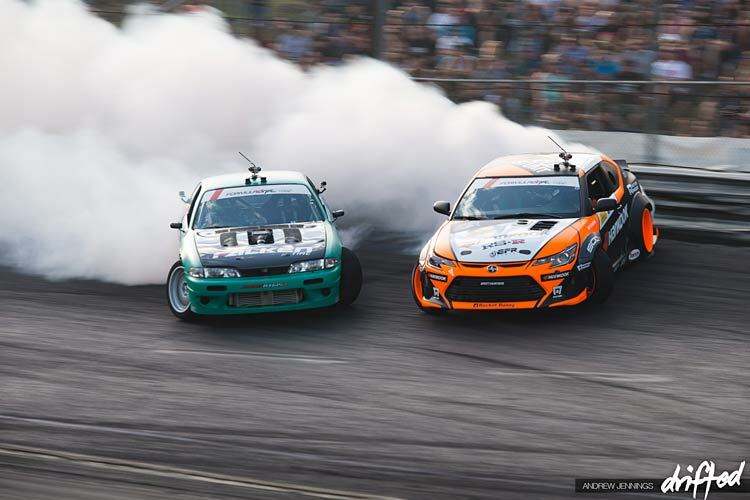 Here at Drifted we rarely review FWD options, but we couldn’t ignore the love that the tC gets from owners, and with the likes of Fredric Aasbo throwing his customized RWD version to the walls in Formula Drift, we knew we had to help you guys find the perfect aftermarket parts. 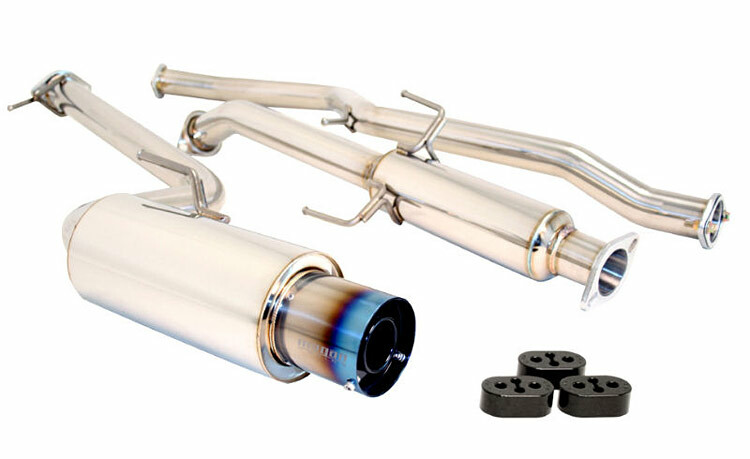 An aftermarket exhaust is definitely one of the first modifications you should make to any car, it removes the restrictive factory exhaust and gives a much more impressive sound whilst improving flow and also freeing up some extra power. Try not to get caught up in the power claims from our selection, exhausts will only offer a minimal amount and it’s far more important to get a setup which you love the look, and sound of. When watching YouTube videos, you’ll want to bear in mind that multiple variations (angle, camera, etc) can change how an exhaust sounds. 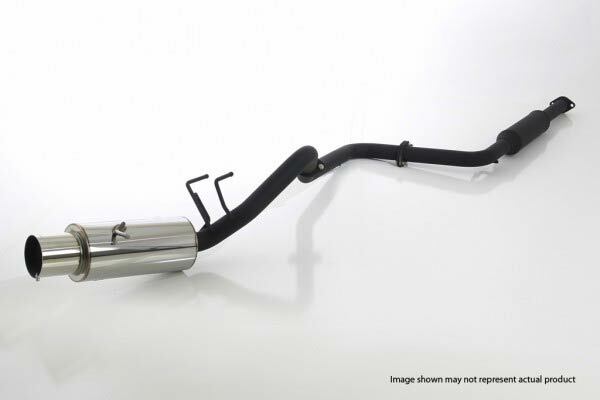 Axle-back exhausts are generally cheaper, but a cat-back will go from your catalytic converter to the tip, meaning there are even fewer restrictions, therefore slightly more power and a more awesome sound. Bear in mind that some cars may have had additional exhaust modifications carried out (headers, high flow cats, etc) when watching the videos. There’s undoubtedly a huge range of options out there for the Scion tC’s’, but we’ve narrowed it down to make life easier when it comes to choosing from the best exhausts on the market. Here you’ll find all the information you’re going to need, along with images, prices, and videos to help make your decision easier. 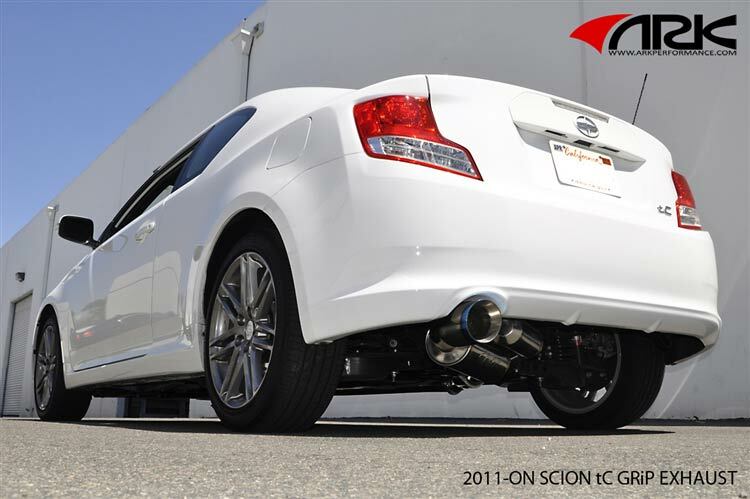 Now that you know what you’re looking for, let’s take a look at our Scion tC exhaust selection! Our comment: We kick off our list with one of the most expensive, yet often the most sought-after offering for the Scion tC. ARK bring their typically epic quality to the market with their more aggressive offering than the GRiP below. The DT-S provides a far more aggressive sound than the stock exhaust, but it isn’t too loud to wake up the neighborhood every time you want to drive home. Chances are that since the gases are flowing a little better, you may see a slight additional performance gain compared to the ARK GRiP. Our comment: ARK’s second option is the GRiP, which tops the DT-S price, but many owners will argue that it’s money well spent. This is the quieter of the two offerings which again offers an aggressive growl but it’s closer to stock sound levels, yet still provides a noticeable difference. For those of you that are looking for a premium product and only want the best out there for your tC, then either of these ARK choices are going to be perfect for you. Our comment: A lot of owners are convinced that this is the best sounding option for the tC, however, it is one of the louder choices so you’ll want to consider that if it’s likely to cause a problem. It comes in at under half the price of the ARK exhausts and has many happy owners that have no issues with the louder sound on a daily basis. You can always get silencers fitted further down the line if it causes an issue. 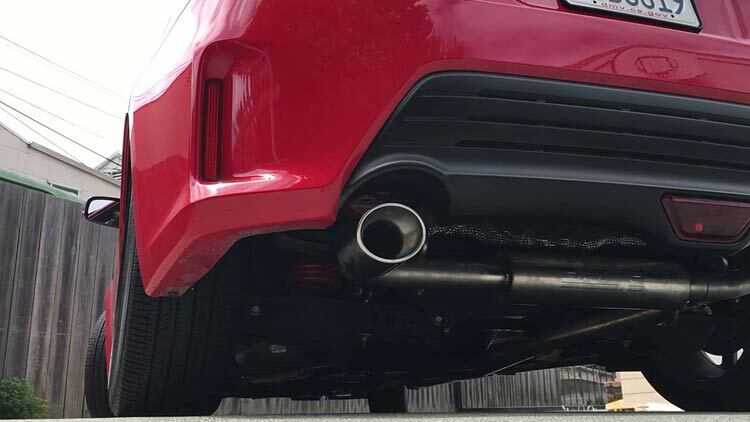 Our comment: Toyota’s very own in-house racing development tuning shop brings another highly reputable offering with the TRD muffler. Unsurprisingly, this has been a hit with fans, especially those that like to stick with OEM+ products. Featuring a subtle yet substantially deeper growl, it enhances the stock sound to make the 4-banger acoustics far more pleasing. If you’re after perfect quality and fitment with a nice, clean tuned sound and no rasp, TRD are likely to provide the ideal product for your needs. 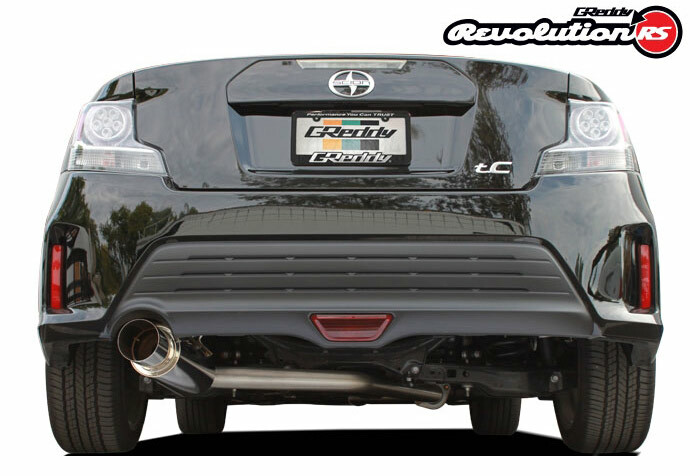 Our comment: Japanese tuning legends GReddy enter the tC market with their infamous Revolution RS Exhaust. Unsurprisingly, this cat-back system has been another huge hit with owners and you can count on always GReddy for quality. With this large-tipped, it’s relatively quiet when cruising around town, but if you plant your foot to the floor it’ll come alive. It’s a far more controlled volume level compared to others like the Magnaflow, and won’t get you pulled by the cops unless you’re hooning. Our comment: We go straight from one JDM tuning legend to another, as HKS bring their competitor. It may seem substantially cheaper than the GReddy, but this is an axle-back system. It’s still a fantastic product at an impressive price. This brings a slightly unique slanted look with it pointing slightly outwards and upwards. If you’re down with that, you can always consider having custom piping made to turn it into a cat-back. On it’s own, this provides a nice subtle deep rumbling sound but with no unwanted rasp. When cruising down the freeway it quietens up to make it an ideal choice for a daily driver so that you can have normal conversations with your passengers. Our comment: Megan Racing are known for producing affordable, yet respectable quality products for a huge range of vehicles within the tuning scene and the tC is no exception. Their ‘Drift Spec’ style exhausts come in polished or burnt tip variations. Cheap exhausts are often the loudest, and the Megan is certainly one of the more extreme options in our list. It does come with a removable silencer which sits in the tip, but we’re not a huge fan of the look when fitted. 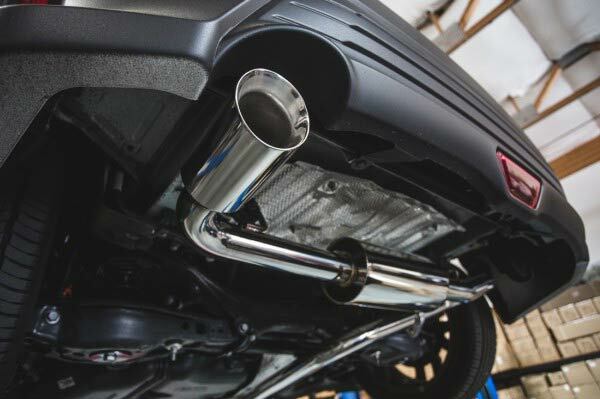 With that being said, many people love it and find it makes it a really versatile exhaust which is both loud or quieter when you want it to be. If you’re looking for a cheap cat-back, it’s a bargain. Our comment: Another hugely popular cat-back comes from Agency Power at a fantastic price. This is a little more than the Megan Racing alternative, but if you have the extra cash to spare we’re sure you won’t regret it. Combining great looks and quality with an awesome sound, it has a nice, deep growl and is definitely louder than some, but does transform the sound of the car. It may be a little loud, but other than that it’s a perfect all-around choice. Our comment: It’s the cheapest exhaust so far in our list, but that certainly doesn’t mean it’s the worst quality. This axle-back offering is a fantastic offering for those of you on a budget that are after a subtle upgrade to your tC. This adds a subtle growl over the OEM exhaust note when you put your foot down, but it’s near-silent when you just want to cruise down the highway. A great choice at a great price for those of you after something subtle. 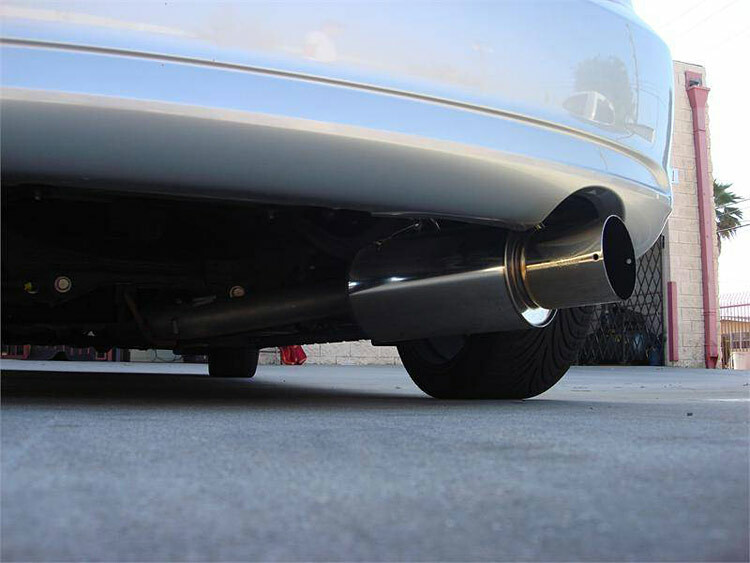 Our comment: The N1 was the first exhaust to feature the classic angled muffler design which is so popular on tuned cars today. It’s survived the quest of time and still looks fantastic. There’s no doubt that this cat-back is a bargain for a company with such a great reputation. Many owners love the N1, which provides a deep, mellow tone which is especially noticeable in the top range. A fantastic all-around choice for those looking for a quiet street cruiser that screams when you step on the gas. Our comment: We know you’re probably already struggling for choice, but we know we’ll probably get complaints if we don’t include Injen’s SES system in our guide too! As you’ve probably guessed, the Injen SES is another popular choice. It features a nice, low growl which isn’t too loud for passing dB ratings or cabin noise. All-in-all, a solid choice, but we would prefer a cat-back alternative for similar money. 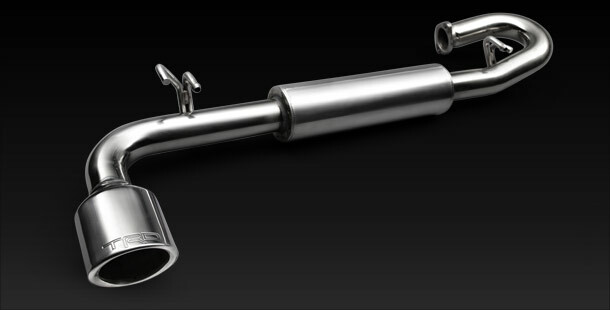 It’s a tough decision with so many great exhausts on the market for Scion tC owners. There are some great setups at bargain prices if that’s what you’re looking for. 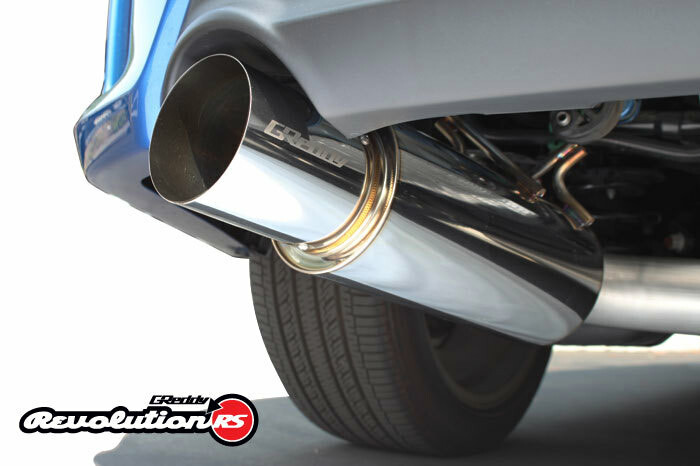 We just couldn’t ignore the sound, looks, and quality of the GReddy Revolution RS cat-back exhaust. With a mid-range price-point and the typical awesome quality that GReddy provide, it ticks all the correct boxes. We would like to remind you that exhausts are mostly down to personal preference and small performance gains will be had from all of these exhausts, so check out the look and then hit play on the videos to see which one is best for your needs. If we’re talking bang for your buck, Megan Racing offers a cat-back at just $445.00, which is hard to ignore. Be prepared for it to be a little on the loud side for a daily driver, though. For a cheap all-rounder, we’d be going for the APEXi N1 as they have a better reputation and it’s a fantastic product at just over $50 more than the Megan Racing. Perhaps you’re looking for maximum noise to turn heads when you drive down the street? 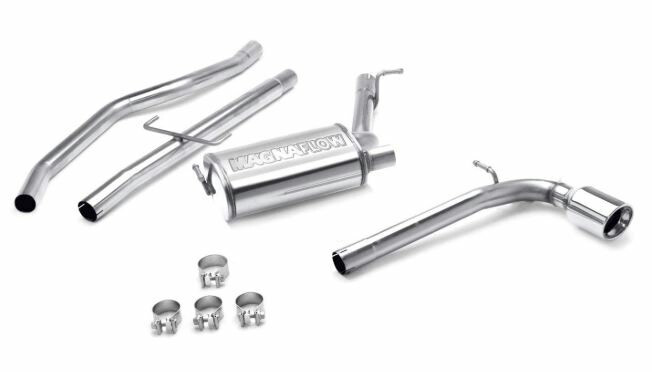 If so, you’ll want to check out the Magnaflow, as it’s definitely one of the louder choices. For a quiet setup, there are several options, but we like the idea of sticking OEM+ with the clean and tidy TRD.